is a distinguished professor and director of environmental dynamics at the University of Arkansas, where he heads the Ungar Lab. His latest book is Evolution’s Bite: A Story of Teeth, Diet, and Human Origins (2017). We hold in our mouths the legacy of our evolution. We rarely consider just how amazing our teeth are. They break food without themselves being broken, up to millions of times over the course of a lifetime; and they do it built from the very same raw materials as the foods they are breaking. Nature is truly an inspired engineer. But our teeth are, at the same time, really messed up. Think about it. Do you have impacted wisdom teeth? Are your lower front teeth crooked or out of line? Do your uppers jut out over your lowers? Nearly all of us have to say ‘yes’ to at least one of these questions, unless we’ve had dental work. It’s as if our teeth are too big to fit properly in our jaws, and there isn’t enough room in the back or front for them all. It just doesn’t make sense that such an otherwise well-designed system would be so ill-fitting. Other animals tend to have perfectly aligned teeth. Our distant hominin ancestors did too; and so do the few remaining peoples today who live a traditional hunting and gathering lifestyle. I am a dental anthropologist at the University of Arkansas, and I work with the Hadza foragers of Africa’s great rift valley in Tanzania. The first thing you notice when you look into a Hadza mouth is that they’ve got a lot of teeth. Most have 20 back teeth, whereas the rest of us tend to have 16 erupted and working. Hadza also typically have a tip-to-tip bite between the upper and lower front teeth; and the edges of their lowers align to form a perfect, flawless arch. In other words, the sizes of Hadza teeth and jaws match perfectly. The same goes for our fossil forebears and for our nearest living relatives, the monkeys and apes. So why don’t our teeth fit properly in the jaw? The short answer is not that our teeth are too large, but that our jaws are too small to fit them in. Let me explain. Human teeth are covered with a hard cap of enamel that forms from the inside out. The cells that make the cap move outward toward the eventual surface as the tooth forms, leaving a trail of enamel behind. If you’ve ever wondered why your teeth can’t grow or repair themselves when they break or develop cavities, it’s because the cells that make enamel die and are shed when a tooth erupts. So the sizes and shapes of our teeth are genetically pre-programmed. They cannot change in response to conditions in the mouth. But the jaw is a different story. Its size depends both on genetics and environment; and it grows longer with heavy use, particularly during childhood, because of the way bone responds to stress. The evolutionary biologist Daniel Lieberman at Harvard University conducted an elegant study in 2004 on hyraxes fed soft, cooked foods and tough, raw foods. Higher chewing strains resulted in more growth in the bone that anchors the teeth. He showed that the ultimate length of a jaw depends on the stress put on it during chewing. Selection for jaw length is based on the growth expected, given a hard or tough diet. In this way, diet determines how well jaw length matches tooth size. It is a fine balancing act, and our species has had 200,000 years to get it right. The problem for us is that, for most of that time, our ancestors didn’t feed their children the kind of mush we feed ours today. Our teeth don’t fit because they evolved instead to match the longer jaw that would develop in a more challenging strain environment. Ours are too short because we don’t give them the workout nature expects us to. There’s plenty of evidence for this. The dental anthropologist Robert Corruccini at Southern Illinois University has seen the effects by comparing urban dwellers and rural peoples in and around the city of Chandigarh in north India – soft breads and mashed lentils on the one hand, coarse millet and tough vegetables on the other. He has also seen it from one generation to the next in the Pima peoples of Arizona, following the opening of a commercial food-processing facility on the reservation. Diet makes a huge difference. I remember asking my wife not to cut our daughters’ meat into such small pieces when they were young. ‘Let them chew,’ I begged. She replied that she’d rather pay for braces than have them choke. I lost that argument. Crowded, crooked, misaligned and impacted teeth are huge problems that have clear aesthetic consequences, but can also affect chewing and lead to decay. 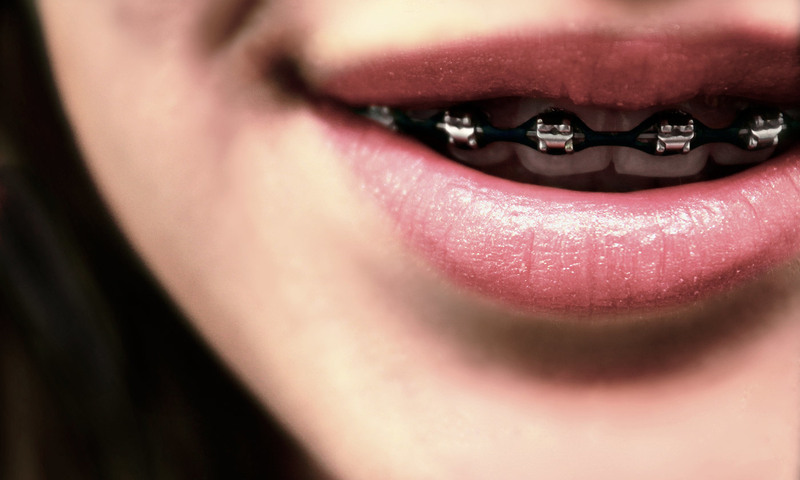 Half us could benefit from orthodontic treatment. Those treatments often involve pulling out or carving down teeth to match tooth row with jaw length. But does this approach really make sense from an evolutionary perspective? Some clinicians think not. And one of my colleagues at Arkansas, the bioarchaeologist Jerry Rose, has joined forces with the local orthodontist Richard Roblee with this very question in mind. Their recommendation? That clinicians should focus more on growing jaws, especially for children. For adults, surgical options for stimulating bone growth are gaining momentum, too, and can lead to shorter treatment times. As a final thought, tooth crowding isn’t the only problem that comes from a shorter jaw. Sleep apnea is another. A smaller mouth means less space for the tongue, so it can fall back more easily into the throat during sleep, potentially blocking the airway. It should come as no surprise that appliances and even surgery to pull the jaw forward are gaining traction in treating obstructive sleep apnea. For better and for worse, we hold in our mouths the legacy of our evolution. We might be stuck with an oral environment that our ancestors never had to contend with, but recognising this can help us deal with it in better ways. Think about that the next time you smile and look in a mirror. Evolution’s Bite: A Story of Teeth, Diet, and Human Origins by Peter Ungar is out now through Princeton University Press.